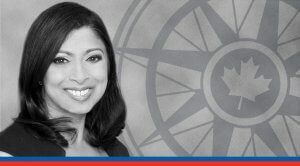 The risk of job loss owing to automation declines with education, so at the very least we should be supporting policies that encourage higher learning, writes Senior Fellow Linda Nazareth in the Globe and Mail. Where would you put the odds? If you had to guess, how likely do you figure it is that you, as a Canadian worker, will soon have a robot staring you down for your job? As it turns out, your probability of having your job automated is lower than it is in most countries. According to the Organization for Economic Co-operation and Development (OECD), the median Canadian worker has a 45-per-cent chance of their job being automated, which gives them the 10th lowest odds among the 32 countries looked at in a just-released study. Workers from New Zealand (39-per-cent chance of automation) and Norway (40 per cent) are in a better spot, but you can be glad you do not live in Slovakia, where your job would have a 62-per-cent chance of automation. The OECD’s findings can be taken as good news, since they are less gloomy than earlier findings. Its model builds on work previously done by Oxford University economists Carl Frey and Michael Osborne, who in a 2013 paper warned that 47 per cent of U.S. jobs were at high risk of being automated. In contrast, the OECD figures that 14 per cent of jobs in developed countries are “highly automatable” while a further 32 per cent will likely experience significant changes to the way that work gets done. As in earlier studies, the OECD finds a clear demarcation between the vulnerability of low-skill and high-skill jobs. Food-preparation assistants, cleaners, labourers in mining and construction, assemblers and drivers are the occupations it sees as at the highest risk. In contrast, teachers as well as managers and professionals in a range of fields are the least vulnerable. The higher a country’s base in manufacturing, the more vulnerable it is to job loss, which explains Canada’s small advantage over its OECD peers. The findings suggest that some jobs will be out-and-out replaced while others will evolve. That is, if McDonald’s figures out how to get a robot to throw your fries in a bag, chances are that they will stop hiring a human being to do it. However, if automation can help a physician make a diagnosis, that will only complement their job and allow them to spend time on other tasks rather than be replaced outright – or so the physician hopes, anyway. In time, their job may also be vulnerable to automation, but it will take a lot longer to get to that point. Are there ways to make Canadians less vulnerable to job losses through automation? Well there are, but it is unclear that we are pursuing them. The risk of job loss owing to automation declines with education, so at the very least we should be supporting policies that encourage higher learning. We could also stem job losses by investing in training for the most vulnerable workers, but that’s a tough one: Employers have little incentive to do so since we are talking about their most casual and most easily replaceable workers. Governments could, too, but they tend to do so after the fact, not before. The best scenario would have workers investing in their own retraining, but historically, for the most part, this has not happened. Interestingly, the OECD makes a special point of saying that teenagers are at very high risk of having their potential jobs outsourced to automation. Think about it: Entry-level jobs for teens do tend to involve putting fries in a bag or sweeping up in a restaurant. The OECD does not explicitly say it, but if those jobs are eliminated, the whole situation gets even worse. The loss of income streams for those who need to pay for postsecondary education will mean a smaller number are able to pursue that education, which in turn will reduce their future prospects. The really good news from the OECD’s study is that the future is not here yet, which means we can still prevent the worst effects of job automation from happening. Like others, the OECD may have some of the numbers wrong, but it is hard to argue with their overall conclusions about what makes a country vulnerable. Changing our industrial structure and our education policies may not be something that we can do overnight, but with the odds of disruption as high as they are, perhaps we should make a start on it.